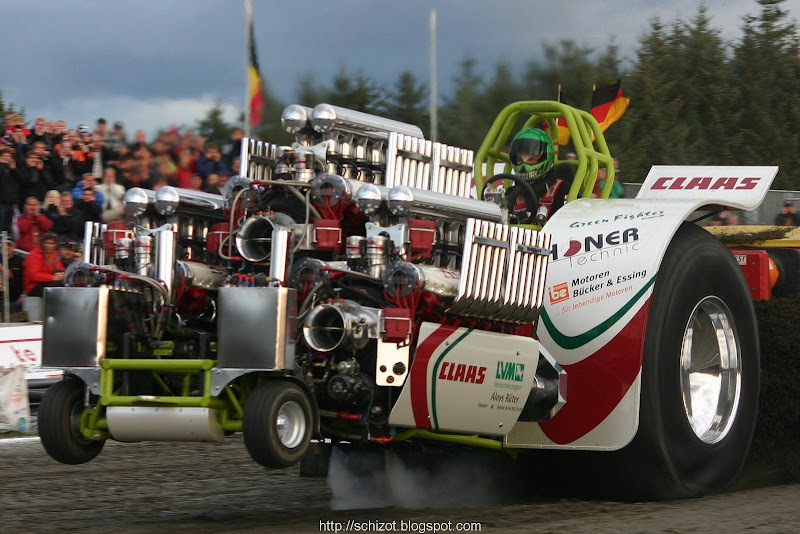 Bernay's Tractor Pulling Organisation (ANTP) wishes you an happy new year ! 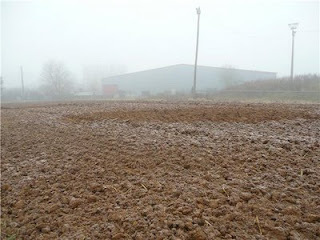 This month, we did a lot of work on the track. See you in June !!! Live from Etten Leur... love this new technology ! Update: Just added some more. They are all rough and out of the camera... Will add more tonight! Update 2: The rest is uploading right now. Talking about NO light at the end of the day though. Really had trouble getting good shots in the last two classes (as you can probably tell). Anyhow, it was a nice little pull with only standing room left and good competition. Strongly recomended for next year! 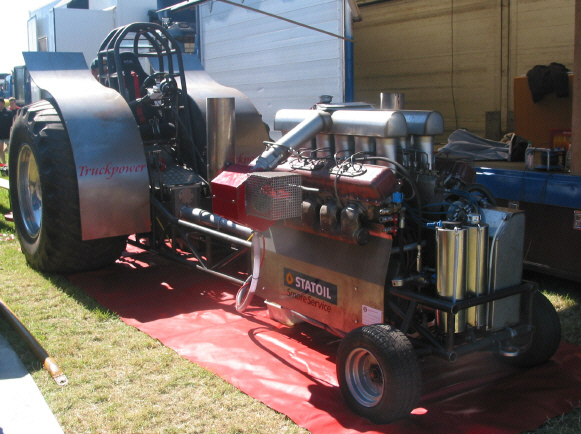 New comment on Radial Engine in US and Radial Pulling Club. 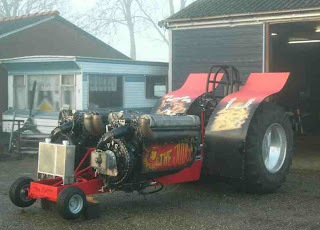 The Hypro Pullers have a little hot farm and stock indoor pull at Etten Leur, southern Netherlands this sunday. Check the flyer! The team of Pullingworld.com would like to wish all of you a Merry Christmas, a happy new year and a succesful 2009 season. We would like to thank all of you for visiting this website and making it another record year for us, as well as our sponsors for their support. Hope to see you all again in good shape in 2009! 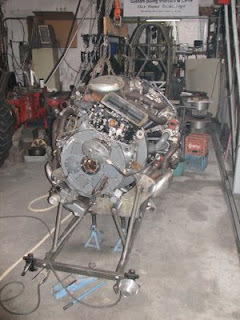 John de Graaf had an interesting proposal on how to work out the limit problems in the 4.5t modified class. The Green Monster Team has published it's 2009 schedule. Looks like we're heading north a lot next season! And here we go on! We are currently getting our new workshop ready. In the process we have sorta "cleaned out" and now have a A LOT of parts for sale. Check our teams for sale site! spatborden op de Runaway Deer. We have updated our site and placed a number of picctures of the new fenders o the Runaway Deere. Misschien iets om op Pullingworld te plaatsen? Maybe something to place on Pullingworld? Ik heb een foto meegestuurd. I have sent a foto with this. Sunday evening = Chat time! After the old chassis was sold to Rob van der Waal, the new Judge chassis is done and the guys on the Kampereiland have been busy putting the new machine together. Still some little thing to do .. but that basic look of the new machine is alerady there. Good to see: The tractor is finally build to the maximum length! For further info check the team's website at www.thejudge.nl. In september, we've discovered the first images of the future radial team in the United States. 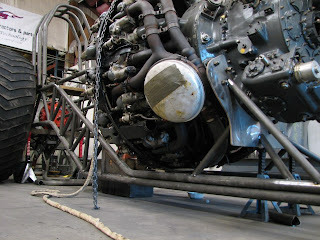 This will be the first tractor equipped with this engine. The U.S. team hopes to be ready for mid-season 2009. Folks - time to check the Truckpower website again! The big diesel mod is on the track and the team was kind enough to publish their first runs (and problems) on video and the aftermath in their picture gallery. If you post something on here via the "submit news" link, I will get to check it before it goes online. Still feel free to post News / Pictures or what ever you think is of interest to the European Pulling fans on here. During the last week end, it was the French annual meeting. The french teams discussed about the future season 2009 with the promotors. At this occasion, FTPF approved the opening of the 2T5 in France. A new long-awaited category. In this category, we will find 4 tractors Twin Limit(ex final countdown), Le foudroyeur (6cyl), Nirvana (6cyl), another (6cyl.) and maybe some tractors of the 3T5 mod: Vil Coyote and Gladiateur. In 3T5, the same tractors will be present in 2009. In two wheel drive, the number of French teams will grow with the arrival of ex No Limit (bought by the son of the Bernay event president). Dominator, Ange and Al Capone will stay. In 4t5, no more news for the moment. The Garden series will be present at each event in 2009 because the promotors are happy with the level that grew-up. The president remains Emile Fontaine. This past weekend the McCormick Huntsman Prostock Team have exhibited at the open days of the LeClerc McCormick dealership near to Bernay in France, by kind invitation of the LeClerc family. Also in attendance (and providing transport as usual) was mad Englishman Tony Brugger with the now legendary Mean Old Pete Peterbilt pulling truck. The LeClerc family are great supporters of tractor pulling, providing tow-back and grader tractors for the Eurocup event in Bernay. This last weekend saw the annual open days of the Company to display their full product range and show off their very impressive headquarters to the many hundreds of visitors that attended. On Saturday night we were guests of the FTPF at their dinner dance in Bernay, which was a most enjoyable evening, with plenty of eating, drinking and dancing. (Tony has now crossed `dancing with nice French ladies` off his to do list), our thanks go to them for the invitation. Also to the No Limits Team for their hospitality on the evening and The Diable Rouge Team for the lunch and showing us their workshop the next day. Once again many thanks to the LeClerc family for the invitation and looking after us so well. Rob Uphill, Huntsman Pulling Team.